EUROAVIA Takes to the Sky! Towards the end of 2012, four students at the Technion heard about EUROAVIA, the European Association of Aerospace Students, and decided to begin the process of founding a chapter in Israel. EUROAVIA connects over 2000 students from 38 universities in 19 countries and creates a bridge between them and Europe’s aerospace industries. Each chapter, or “Associated Society,” organizes events for its members on both the local and international level, allowing students from other universities the experience of visiting aerospace faculties and companies all over Europe. In April 2015, after a long process which included hosting an international event, “EUROAVIA at the Technion” was finally accepted as an Associated Society. Since then, all of the founding members have graduated and the challenge has been to recruit new members and create a new local board. The new members and local board have already begun planning local events for the chapter. 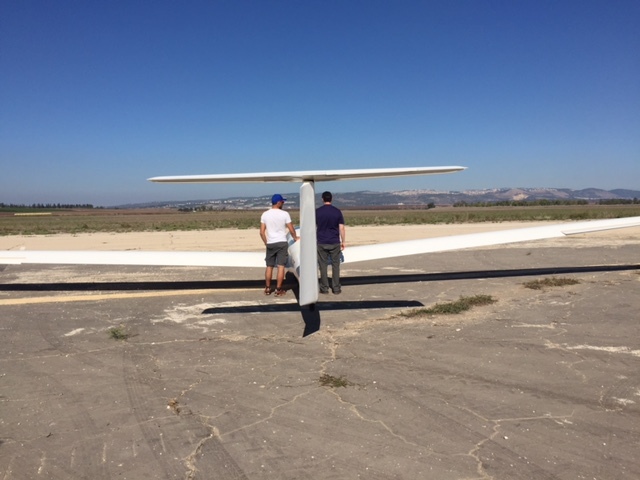 This past summer, one of the organizing members, Rami Veiberman, was obtaining his solo gliding license at the Megido Gliding Center near Afula. 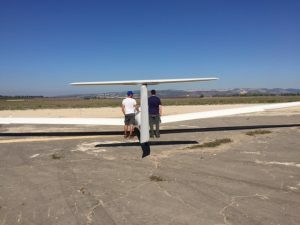 After hearing about this amazing experience and at Rami’s suggestion, the local chapter decided to organize the most exciting local event to date, an introductory glider flight! The event was planned for the end of October and advertised in the Faculty. The turnout was impressive! By the end of September all 21 spaces were filled. Due to bad weather, the event had to be rescheduled, but all registered members were still able to attend. The day of the event saw gorgeous weather. The instructors were incredibly welcoming and excited to see such a large group of eager aerospace students. After an introduction and instruction, the group quickly began to take flight. The group was assigned two gliders and one tow plane. As one glider flew, the ground crew prepared the second, allowing to take off one after the other. The gliders seated both the participant and an instructor and each flight lasted 15 minutes. Take-off was bumpy as the glider got dragged up by the tow plane, but soon it was smooth flying. After a few minutes of climbing to a safe height, the towing cable was released and the glider was on its way! 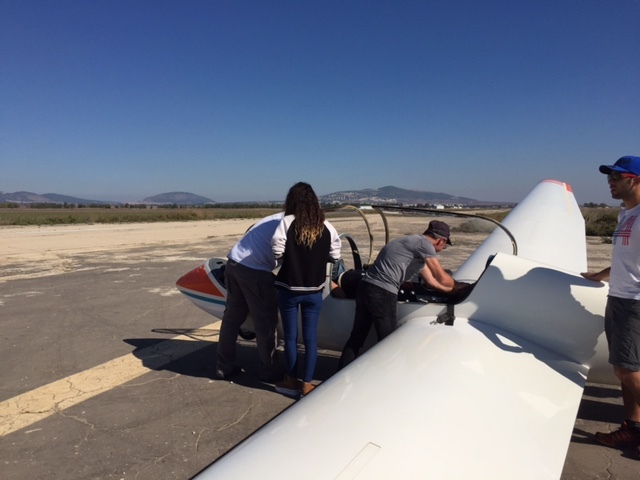 The instructor piloted the glider through thermals to maintain its altitude. Clear weather and excellent visibility allowed for a breathtaking view of the northern landscape, and the quiet flight of the engine-less aircraft was truly a unique, serene experience. While some were content with the scenic, relaxing flight, bolder participants could ask the instructor to perform aerobatic maneuvers like zero-gravity. The highlight of the flight, however, was being given the chance to pilot the glider! Each participant finished the flight and climbed out of the glider with a big smile on their face. It was a new experience for everyone, and some of the students have already decided to take up the hobby. Events like this are a good break from lectures and, as aerospace students, was truly inspiring and motivating. We had a lot of fun planning and attending this event and are looking forward to offering more opportunities like this in the future! Stay tuned!